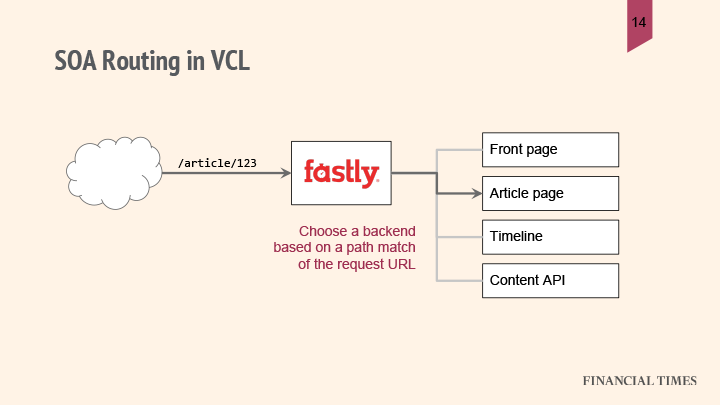 In “How to solve anything, part 1,” we discussed Andrew Betts’ clever tips for using Fastly’s Custom Varnish Configuration Language (VCL) to collect data at the edge. 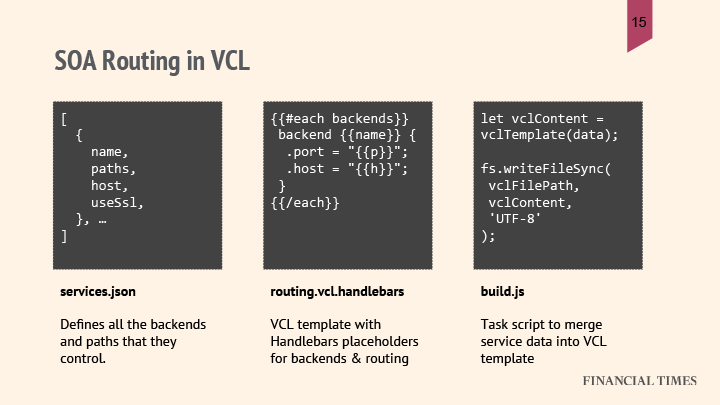 In this post, we’ll look at how Nikkei (the Financial Times parent company) uses VCL to deal with a service-oriented architecture as well as write synthetic responses with non-ASCII (i.e., Japanese) characters. For a “neat and simple way of uploading VCLs from the command line,” Andrew recommends using the open source FT Fastly tools package. Check out the slides from Andrew’s talk for in-depth examples of the code he used for SOA routing and automation. Use these tips to embed non-ASCII (American Standard Code for Information Interchange) content in your VCL file, which is helpful if your users don’t speak English, since you can only write ASCII in VCL files. char => char.codePointAt(0) < 128 ? “It’s not the prettiest thing in the world, but it’s effective,” Andrew noted. 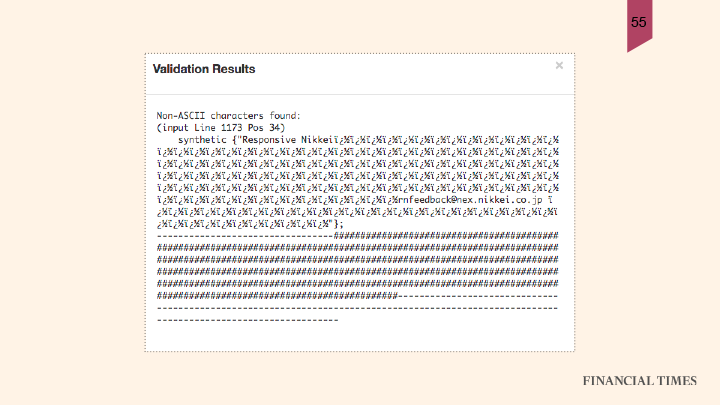 He also discovered that you can base64 encode it, using the digest.base64_decode function. Curious about using restarts in VCL? Head over to part 3 of this series.